If you participated in a webinar, workshop or training where a certificate of completion was provided or an email confirmation (after the webinar) with all of the required details should be provided and this form should not be used. This form should be used by the advocate, once credentialed, to document continuing education received through in-service training, seminars, workshops and conferences. The CED form should be signed by the trainer or training sponsor representative. 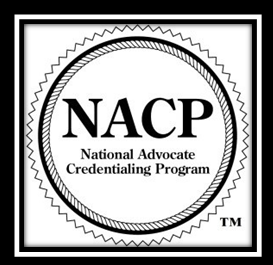 Applicant should then submit a copy of this form with the NACP credential renewal or renewal/upgrade application.